It may have been small, but Channel Television was one of the powerhouses of the ITV network. It first went on air in 1962 and its absolute independence, despite its affiliation with the larger network, allowed it to continue broadcasting when other stations were taken off air due to industrial action. It was only the second television station in the whole of Europe to adopt electronic news gathering (ENG) practices – again, long before its sister stations – and it handled compliance for some of the network’s biggest shows, like X Factor and Midsomer Murders. The quality of its output was also highly regarded – so much so that it managed to retain its licence to broadcast with a bid of just £1000. An unsuccessful rival had bid considerably more than that in an attempt to win it away. However, although it still exists as a defined franchise area, it has largely disappeared from our screens as distinct entity. The UK’s most popular terrestrial commercial network went through a period of consolidation from the mid–1990s onwards and, in 2013, Channel Television was absorbed into the greater whole. ITV plc had bought the station in November 2011 and immediately set about bringing its branding into line with other stations on the network. Thus, on 14 January 2013, it became plain old ITV in the Channel Islands, too. 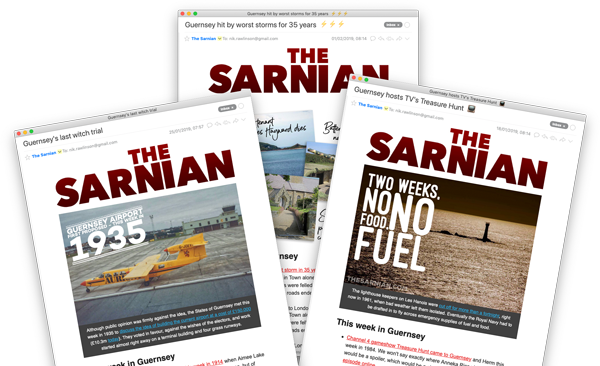 It does still have a distinct local identity where its news, weather and occasional opt-outs are concerned, but the days of having an entirely separate station for Guernsey, Jersey and the other islands in their bailiwicks are now, effectively, over.